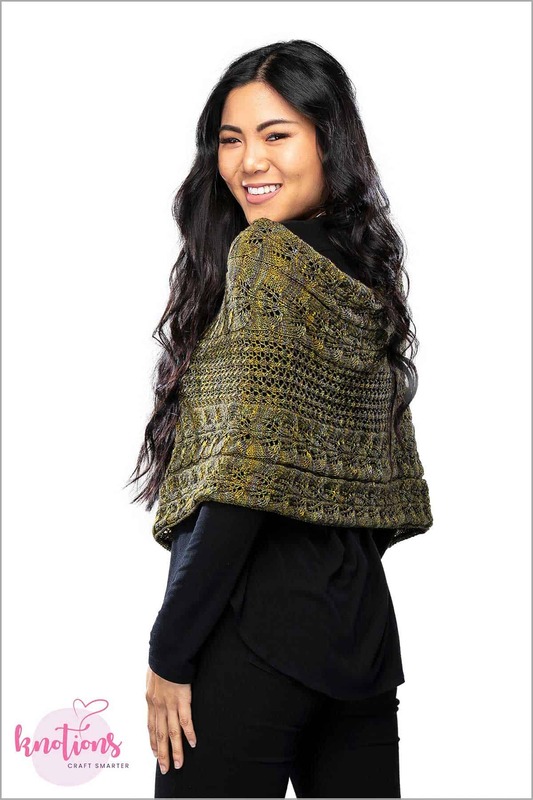 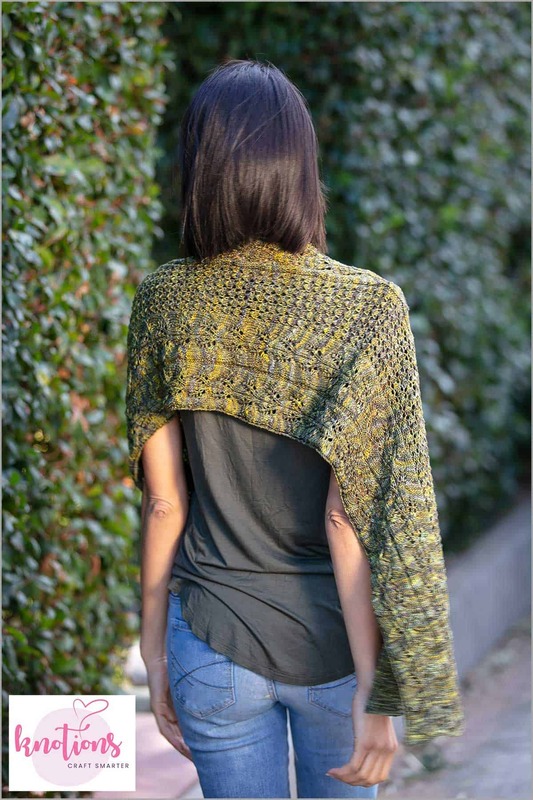 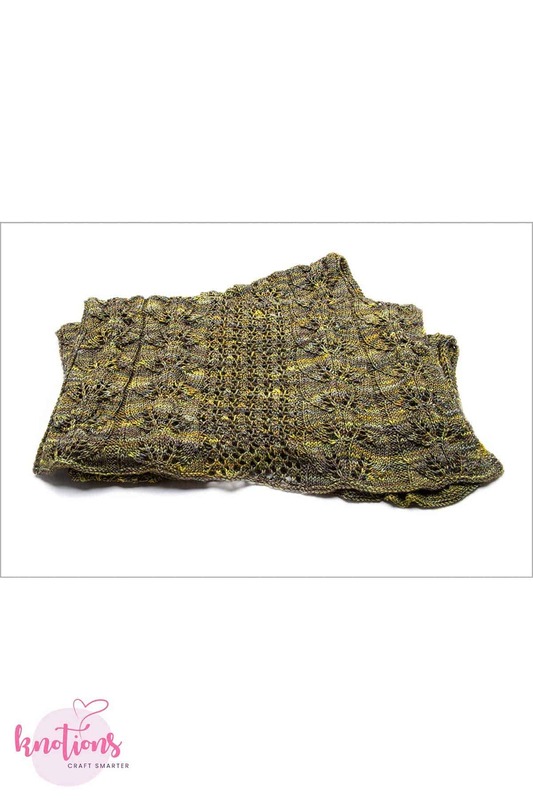 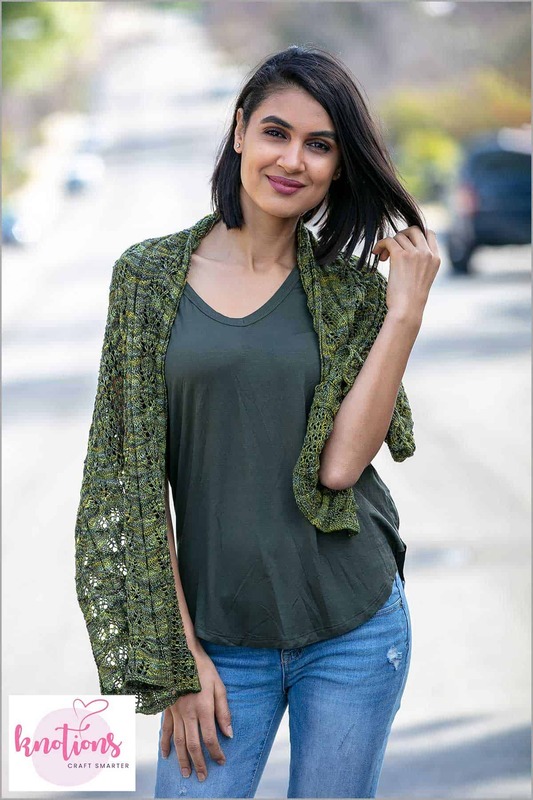 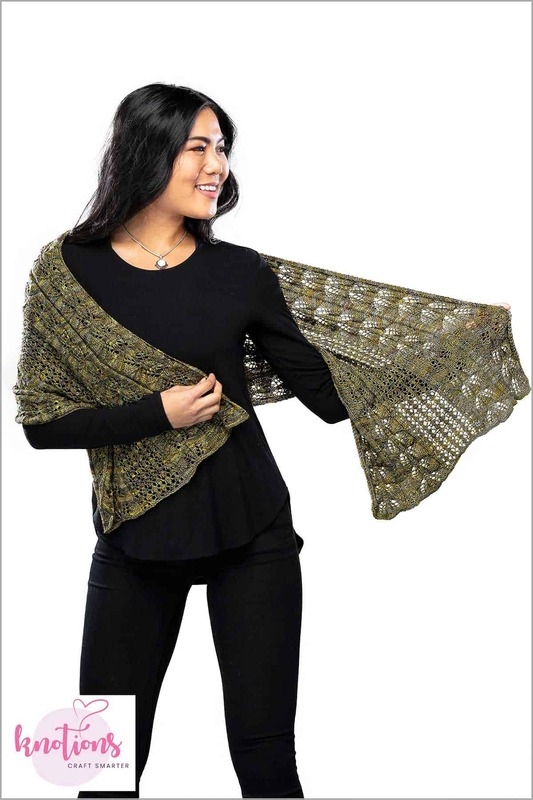 “Leafy Paths” is a lacy rectangular wrap knit in lightweight yarn so it can be worn over an outfit on a breezy afternoon or over an evening gown or as an accessory over a shirt, tee or top. 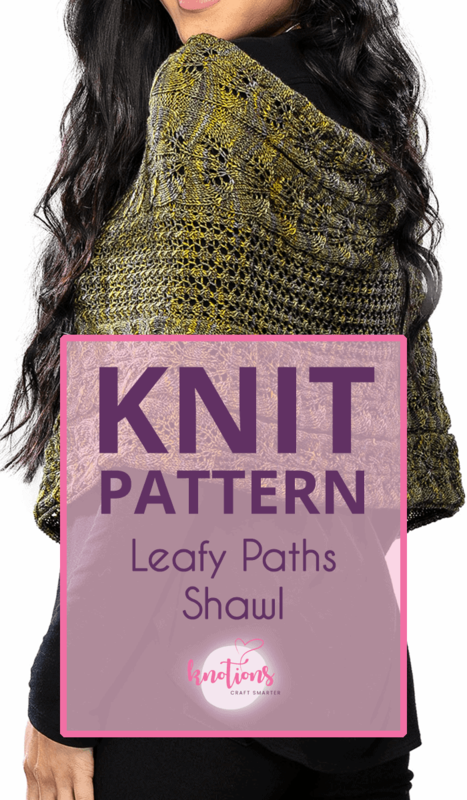 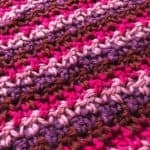 The wrap uses a leaves lace stitch pattern and a central mesh pattern. 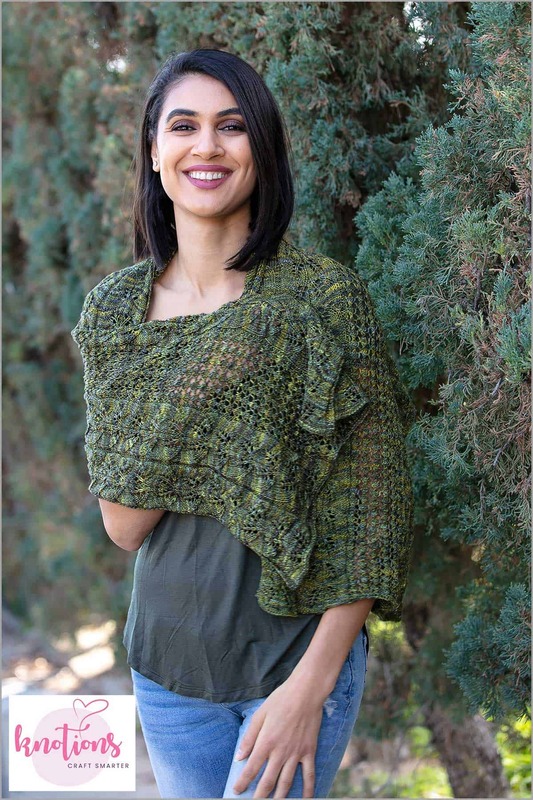 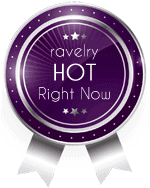 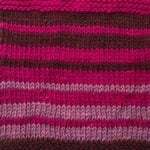 Thanks to Malabrigo for providing the yarn and to Brooke for knitting the wrap! 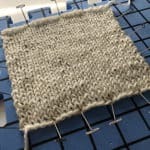 20 sts and 24 rows = 4” [10 cm] in St st after wet blocking.